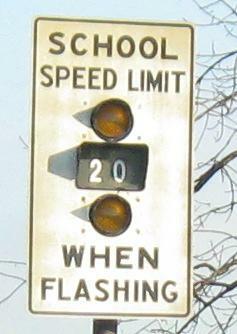 If you continue on Main St. in Highland Falls after passing the first sign at Mountain Ave., you come to the second sign at Cozzens Ave. 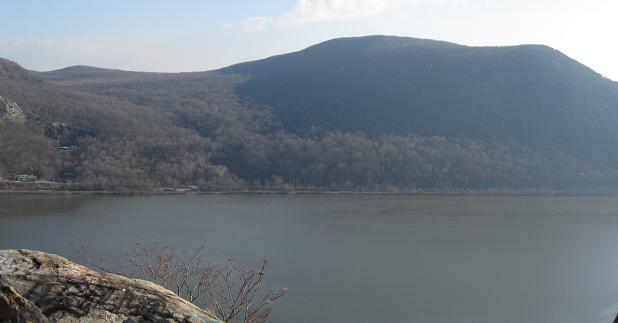 This was the original route of the road along the west shore of the Hudson. US 9W may have gone through West Point originally, or it may always have followed current NY 218, but I do know it followed 218 for many years before the current alignment was built. One SB and two NB photos from the short NY 218 duplex with US 9W. 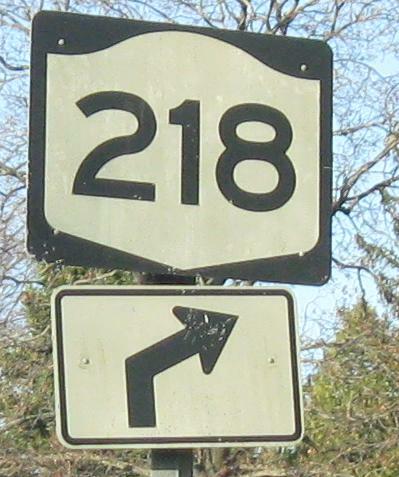 Both ends of NY 218 are also at US 9W, which you would expect from the old route vs. the new route. 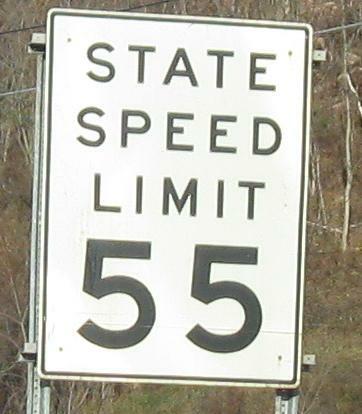 The best old sign is on the US 9W NB ramp (seen on that page), which may date to when the interchange was constructed (i.e. 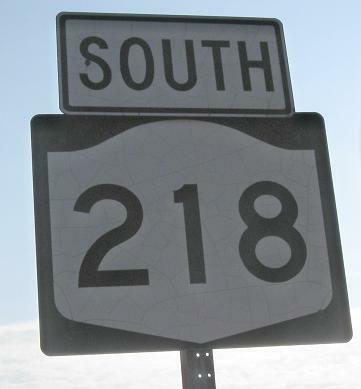 when US 9W was moved to the current alignment from NY 218). 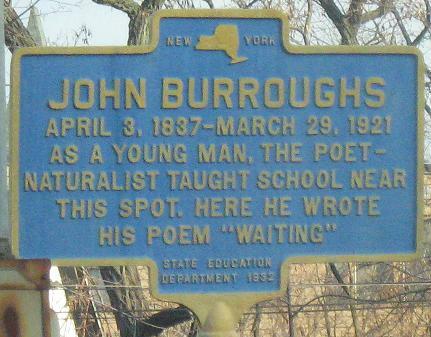 Rotating from all the way to the south, around to all the way to the north, from the high point on NY 218 where there's actually enough room for 2-3 cars to park and look out. 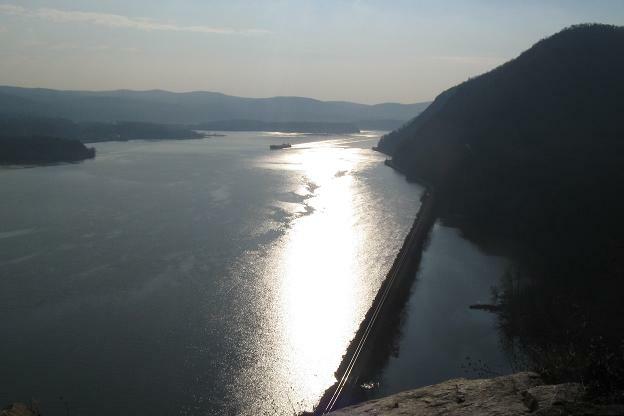 There are railroad tracks on both sides of the river, much closer to the water than this with a very different view, and the I-84 Newburgh-Beacon Bridge is in the background of the last photo. Closeup views of first some rail tunnels on the east shore - SL and LM's love is immortalized forever on this page by virtue of my camera's zoom - and then Pollepel Island just upriver. It's a Dutch name, typical in the area, and on that island is a strange building known as Bannerman's Castle. An eccentric surplus salesman named Francis Bannerman VI (just had to be something kooky like a VI) bought the island after needing a place to store his vast quantities of Spanish-American War surplus. Yep, a kook. This castle was therefore actually built in the 20th century as an arsenal to store this massive quantity of detritus, and Bannerman lived in the smaller castlet to the left. As befits such a strange man, the castle stopped being constructed when he died (17 years later, still unfinished), and then part of it exploded due to the explosives he had stored inside. 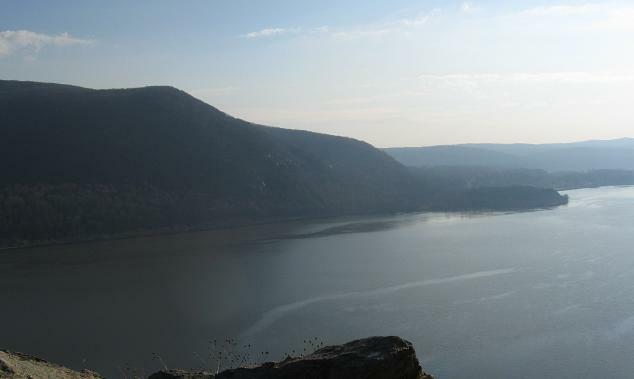 As also befits such a strange man, he cast "Bannerman's Island Arsenal" into the side so that his legacy would live forever. New York bought the island, started giving tours, and then the building caught on fire again, so now all that's left is the hull of the exterior walls in a park that no one can tour. 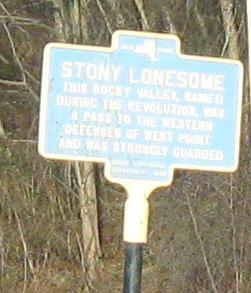 Series E font makes a rare appearance on this older NB shield, leaving Cornwall-on-Hudson by turning onto Academy Ave.